Doctor Who: The Price of Hubris | Warped Factor - Words in the Key of Geek. Was Stacy Embry right all along? BBC America has announced that Doctor Who’s ratings have stayed stable in Series 8, and have even improved in small markets (though it’s safe to read that as TIVO, rather than X-Finity), but truthfully, other BBCA fare has suffered making Who look better than it is. Who's more complex episodes worked well in the US, with Last Christmas being a good example because of its homage to American horror, and the look of a polished Hollywood film, helping it draw good viewership here. Across the Atlantic, however, the BBC has just released disastrous results for Doctor Who Series 8 in the UK. Especially Last Christmas, for which the Twelfth Doctor's viewership fell by millions when you look at both live and delayed viewing. Last year, the regeneration featured in The Time Of The Doctor supposedly uplifted the figures giving it a last few minutes spike, but it still achieved the equivalent of a solid 2013 ranking. 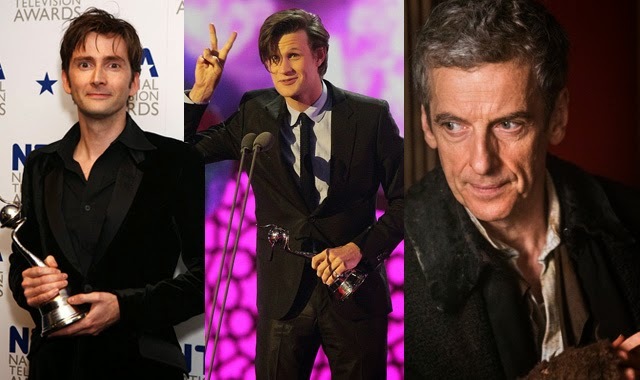 Now 2014 was a ratings disaster, and additionally Mr Capaldi has been absolutely slapped with the snub of not even being nominated for a National Television Award, something previously won by ALL of his rebooted Who predecessors. So, Whovians - especially those who were offended when I predicted this pattern - what are you thinking about your premature iconization of 12? What do you have to say? I dared to read the weekly numbers and projected this trend in my Tea Party article and was spot on with my concern, no matter how reviled that observation became. Even by sharing my projection, as I recall, I earned a time-out on the naughty step in a reply article. Why did the readers collectively lose it? As an American, was I a convenient target? Were the howls of UK fans exacerbated by a level of denial? 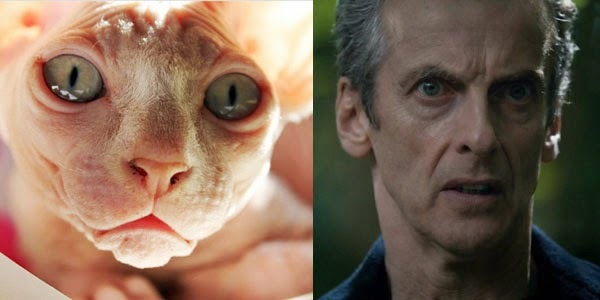 Did Capaldi's past performances, paired with their love of classic Who, cloud the collective UK vision? Maybe as a newbie it was easier for me to see and be naive enough to share an authentic concern? 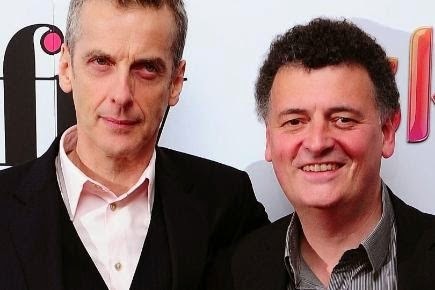 Ultimately, as long as Who is led by Steven Moffat I believe the trend will continue. Together, do we really need to recite his flaws? His hubris has taken hold. Steve-o, aka the Moffat-man, loves this franchise – there’s no arguing with that, and we believe it. He's an amazing writer, but his effrontery risks the show. Meaning well or not, he's created this trouble. Personally, I think it was his arrogance to thrust both Danny Pink and Missy into the mix with no character development that poisoned the well. These characters were a sophomoric distraction from our new Doctor. From the first scene to the end, we knew Danny Pink would die, and we knew that Missy was the Master. The best episodes were those barely including, if at all, these two characters – Time Heist/Mummy on the Orient Express/Flatline – and which allowed Capaldi to expand our consciousness of his new interpretation. But do we have to let the Twelfth Doctor freefall? I believe the status of the franchise, and the talent of Capaldi and Coleman are well worth an increased effort to address the problems. Keeping Clara was a good start. Shutting the door on Pink and placing Missy on hold are equally valuable, but ultimately, something's got to take the training wheels off Capaldi. Who has to focus on him. Let him be the doctor and show us his Mad Man in a Box. I shiver imagining it. Now that's a fall I'd applaud.